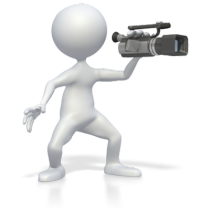 EVENT VIDEOS ARE THE ABSOLUTE BEST WAY TO MAKE SURE YOUR ONE-OFF OCCASIONS HAVE LASTING VALUE! We have produced videos for product launches, awards ceremonies, teambuildings, fundraisers, away days and concerts; each one of them unique in objective, style and tone. A good event video captures the spirit of an occasion and makes the most of its strengths whilst downplaying its weaknesses. It encourages nostalgia amongst those who were there, as well as inspiring interest in those who weren’t, the perfect advert for your next event. We understand that event videos are as diverse as the occasions they capture so we work closely with you from an early point to ensure that you get exactly what you want from your production. Most of our videos tend to be set to music throughout their duration. and so don’t often involve live audio from the event itself. However, if you wanted to hear from your friends, colleagues, clients or other participants via short, to-the-camera testimonials, we can make that happen too. Only best technical equipment is used. We guarantee that the videos are of highest quality! We have our own Drone Quadcopter allowing to make birds view videos of all the group! As ever with our production, we can handle the full production from start to gloriously polished finished video so if you’re throwing a Teambuilding, an event in honour of a prestigious client, or just celebrating a significant birthday, we will put together a video that will have real, long-lasting value. The photographer can follow you just for one activity, a day or throughout the whole stay.